As Hotelympia approaches (5th-8th March 2018), the UK’s largest hospitality event has announced details of three brand new stages, each focussed on inspiring visitors through solution-based thinking from expert speakers and rising industry stars. This brand new feature stage is designed to deliver solutions to some of the burning questions surrounding the industry. 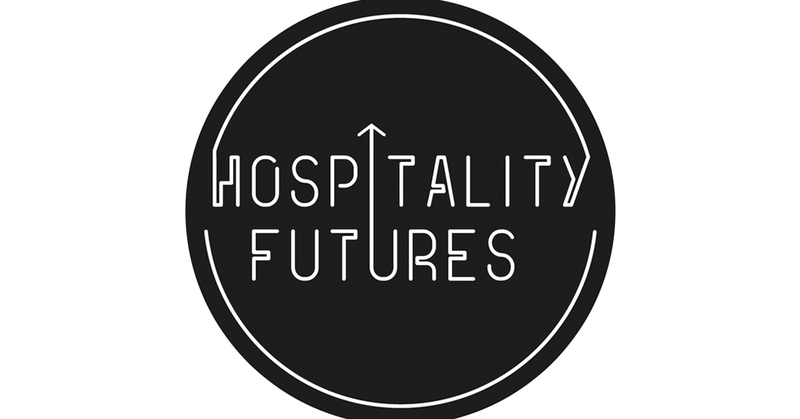 With content curated and hosted by industry figureheads focused on driving change, Hospitality Futures is set to provide strategies and ideas for visitors to take back to their own places of work. Future trends like Brexit, staff retention, culinary medicine, guest experience, sustainability, the sugar tax, allergens and women in hospitality will be up for debate. ‘Guest experience’ may be a well-worn phrase but nailing it can seriously boost the bottom line. Creating the right environment and atmosphere means much more than design alone: taking in service, comfort, sensory stimulus and more. Giles Looker, Co-Owner of cocktail and bar consultants, Soul Shakers joins Restaurant Director of Dinner by Heston Blumenthal, Mark Hastings and Guillaume Marly, incoming Managing Director of London’s Hotel Cafe Royal, to help visitors uncover the secrets to profitable footfall while examining what the future of guest experience might look like. The very first Government Night Czar, Amy Lamé will talk about her task of preserving London’s thriving and highly important night time economy, as well as being a principal female figure in hospitality, while three of the UK’s largest training and HR experts, People 1st, HIT Training and Pearson, will demonstrate how the apprenticeship levy – considered an unwanted tax by many –could significantly boost the bottom line. Rohini Bhattacharya, Pearson’s Head of Apprenticeship Services, Annette Allmark, Head of Apprenticeships at People 1st and Paul Mannering, Academy Principle at HIT Training are in the hot seats. It’s the hot button topic of 2018 and The British Hospitality Association will be presenting its own report, compiled in conjunction with KPMG, assessing the impact of Brexit on the hospitality sector. BHA Employment Policy Advisor, John Guthrie will be imparting details of the impact of any changes to immigration law, plus a ten-year suggested strategy for the industry as a whole. In partnership with executive search giant Korn Ferry, WiW2020 Review’s Tea Colaianni will present Hotelympia’s Women in Hospitality 2020 Review – an initiative aiming to achieve 33% female leadership roles in hospitality, travel and leisure by 2020. Innovative start-ups are the lifeblood of the hospitality industry, with many concepts quickly making the jump from kerbside to bricks and mortar, often via the very modern means of crowdfunding. The Launchpad will be introducing to show visitors some of the UK’s most exciting new businesses, and should prove a serious draw for buyers, the big beasts of finance and those looking to make the jump into their own dream start-up. The programme of 30 minute hustings will include; the socially conscious online platform that works with environmentally aware, independent producers, COLLECTIVfood; health kids jelly snack, Naturelly; gourmet food delivery service, Supper; bookings and comparison site for the country’s best street food caterers, Feast It; creators of biologically-accurate food expiry indicator, Mimica and Deliveroo rival MealPal, among many others. The Launchpad will also play host during Hotelympia’s Women in Hospitality day, with Emily Roux talking about her experience as a young female chef, being part of one of the world’s most celebrated cooking dynasties and how her profession is developing savvy new revenue streams. Great British Menu 2017 winner, Pip Lacey will also be on hand to talk about Hicce, her new solo venture which opens in the spring. The Tech Innovation Stage presents the perfect opportunity for visitors to stay up to date with the latest hospitality technology, covering topics like innovations in mobile, social media, online reputation management, point of sale and the latest in guest room technology. Founder of data house, Yumpingo, Gary Goodman will be introducing a ‘food intelligence platform’ crunching data for the benefit of the restaurant trade. With patrons including Jamie’s Italian and Wagamama, the ‘one minute review’ customer survey comes with the bill on a branded device, and captures all the vital details that polarised one and five-star online reviews miss. Gary will be on hand to explain how the platform can work for other hospitality businesses. With the online ordering phenomenon now extending from local kebab shops right through to famous fine dining establishments, Stephen Minall, Owner of brand developers Moving Food, sits down with Austen Bushrod, Head Of Business Development for Bunzl Catering Supplies; Bruce Isaacs, Partner at Hospitality Management Solutions; Simon Blackbourne, Co-founder and Commercial Director at Tahola and Phil Le-Brun, Corporation’s Vice President – Global Technology Development at McDonald’s, to discuss the costs, the rewards and whether it is a help or hindrance to businesses. CEO and founder of Y Food, Nadia el Hadery, will be explaining how her business, ‘the house of food tech’ and the company behind London Food Tech Week, can bring investors, inventors, developers and the hospitality trade together, while Peter Edwards, Chief Operating Officer of Zonal, will talk about how managing the many of the frustrations both operators and customers have with the online review process. A special panel celebrating women’s growing contribution to the tech sector will mark Hotelympia’s Women in Hospitality day. Rosa Montero, CEO of Wanup joins Caroline Dunlea, Owner/Director of Core Optimisation and Ariana Pampoulides, Director at Hotec. Registration is now open for Hotelympia, the UK’s largest and most prestigious hospitality event as it introduces four exciting and contemporary shows, united under one roof, as part of a fresh new identity. The Professional Kitchen Show, The Foodservice Show incorporating Café Commerce, Hospitality Tech Show and Interiors and Tableware Show, will be specialist events in themselves, each benefitting from Hotelympia’s heritage – the market leading hospitality and foodservice event that attracts 25,000+ visitors.